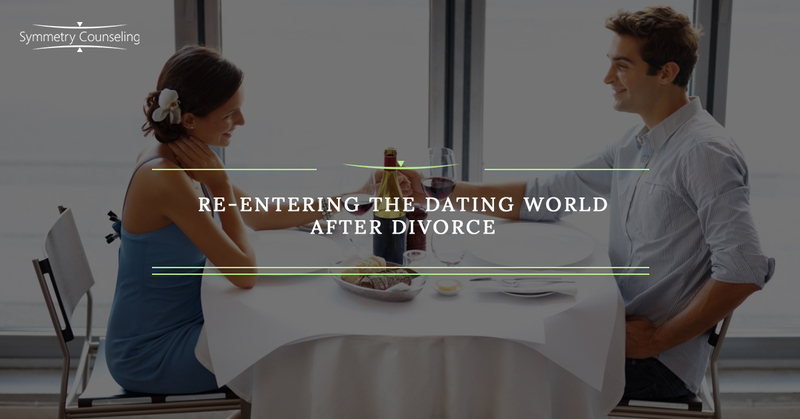 Divorce is often a painful and stressful life event that leaves many men and women feeling alone, wondering how to get back into the dating scene. These individuals may have been married 2, 10, 20, or even 50 years before they decide to end their marriage, and are now facing the difficult task of re-building their lives. After some time has passed and you have processed your divorce, the thought of dating may cross your mind; however, it may soon get interrupted with fleeting thoughts such as, “I don’t know how to date anymore”, “No one wants to date a divorcee”, or “Things have changed since I last dated.” So how can these individuals who struggle with these obstacles successfully and healthily enter the dating arena? Below are five key tips to help get back into the dating scene with confidence. 1. Connect with New Supportive Friends. It can be difficult after a divorce to confide in friends you most likely shared with your spouse or to disclose your new life with an old friend who will not “take sides.” Therefore, it may be beneficial to branch out and try to meet new people to share in this new chapter with. Old friends offer great support, but new friends may help ease the transition into the single life. 2. Build Your Self-Esteem. After a divorce, it is common to feel your self-esteem drop, but it is important not to dwell on it. Stop listening to the negative messages you may have received from an ex or others around you and begin to actively work on boosting your self-esteem. An exercise to begin building your self-esteem includes making a list of things you like about yourself and hanging it on a wall where you will see it daily. Try to add to it every week by including new accomplishments or things you have done well. 3. Learn The Trends. Getting back into the dating world may feel intimidating; therefore, it is helpful to ask some of your single friends or family about the current trends or approaches to dating. Are people successfully dating online? Is online dating something you are interested in? How do you approach an attractive stranger in a coffee shop? Become familiar with the single you. 4. Put Yourself Out There. Now is the time to explore your interests and join those online dating sites, join an activity group, or go out with friends. Online dating can be an easy way to ease into the dating world and meet new people. Joining an activity group is a great way to get out of the house, do something you enjoy, and meet others who enjoy the same things. Go ahead and sign up for that tennis club you were interested in; you never know who you might meet there! 5. Don’t Be Hard On Yourself. It may be difficult at first to put yourself out there, and every date may not be the best; However, be proud of yourself for trying. Getting back into dating isn’t easy, but it may be the next step to another chance at love. Don’t give up! Overall, the best thing you can do to re-enter the dating world is to explore various strategies and choose those that are the most comfortable and genuine to you. If you are currently struggling to get back into the dating scene after a divorce and would like the support to do so, it may be useful to connect with a therapist. Contact Symmetry Counseling to set up an appointment with one of our very talented therapists at one of our two Chicago locations.